TOKYO, Japan, May 31, 2011 (ENS) – On March 11, 2011, the Great East Japan Earthquake hit, causing devastation to the Tohoku District, and compounded by the massive tsunami and subsequent earthquakes. The death toll exceeded 15,000 and nearly 10,000 people are still missing. From April 29 to May 10, I stayed in the city of Ishinomaki, Miyagi Prefecture, one of the worst affected areas, to help out at a local office of JEN, an international nongovernmental organization engaged in disaster relief, originally established as Japan Emergency NGOs. Ishinomaki is the second largest city in Miyagi Prefecture, with a population of about 160,000. 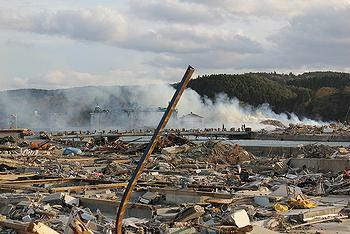 Almost 3,000 lives were lost in the disaster there, and a large number of houses were swept away by the tsunami. Two months after the earthquake, more than 8,000 residents, accounting for nearly five percent of its population, were still living in over 100 shelters scattered across the city. On my trip to Ishinomaki, I took a two-hour ride from Tokyo to Sendai on the Shinkansen bullet train and then a 90-minute ride on an expressway bus. The rail line, named the Senseki Line, runs from Sendai to Ishinomaki along the coast and was badly damaged by the disaster. I heard that it might take several years to be completely restored. When I entered the city, I was surprised at the sights I saw, totally out of the ordinary. Along both sides of the roads were piles of various abandoned household goods that had been washed up by the tsunami. Furniture, household appliances, tatami mats, bedding, and more. The tsunami had reached several kilometers inland. I saw some houses still standing, but their first floors appeared no longer habitable. I took a taxi from Ishinomaki Station to JEN’s local office. I didn’t ask any personal questions on the way, but the elderly taxi driver started to tell his sad story bit by bit. After a visit to JEN’s office, I went by car to a seaside area and was stunned by the scene before me. Heaps of rubble stretched as far as I could see. Destroyed and covered by mud were parts of houses such as pillars and boards, along with furniture and various typical household items. Cars were scattered all around; some just the body frames, others upside down. I saw signs saying “Already Searched” on car windows, wheelchairs left overturned, and stuffed toy animals peeking out of the mud. I also visited some shelters. In the gymnasium of one elementary school, each evacuee had a space measuring roughly a few square meters as temporary accommodations, and they were using cardboard cartons as partitions for each household. Meals were bread, cup noodles, and boxed meals distributed by the city or delivered as food assistance from all over Japan, or warm meals served by personnel from the Japanese Self Defense Forces. In some shelters, evacuees took turns preparing meals. However, inadequate nutrition, caused especially by lack of vegetables, is a general concern for evacuees. 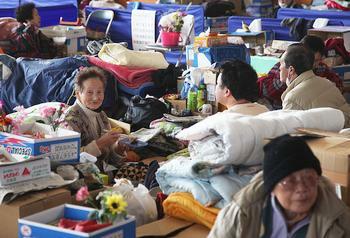 Other people not in shelters were staying temporarily with relatives or friends. Although about 10,000 temporary houses are needed in Ishinomaki alone, the number of houses under construction or even being planned was barely 1,800 as of the end of April, since it is still difficult to secure available building sites in the area. The administration of procedures required to construct any temporary houses are divided up among government offices as follows: the central government, for procuring materials; the municipal governments, for procuring sites; and the prefectural government, for arranging construction. With these offices smoothly coordinating the work, I hope that everyone who needs a house will be able to move into a temporary one as soon as possible. 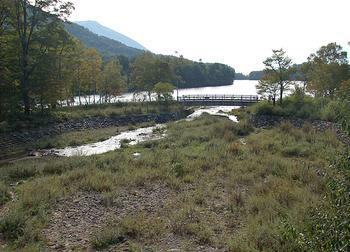 Ishinomaki had a solid embankment built along the shore. The city and its residents believed that it would provide sufficient protection against a tsunami, but this time the tsunami was much higher than the embankment. I keenly felt the weakness of humans and human-made things in the face of natural threats like earthquakes and tsunamis. We often use the expression “coexistence with nature.” It’s often found in the corporate social responsibility reports of companies, and it definitely becomes a topic when discussing town-building activities. After seeing the situation in Ishinomaki, however, I began to think the expression is used merely superficially and is too optimistic. I think we refer to coexistence with nature when we establish a natural environment around us as something we can appreciate, which would never attack us, as if it were a miniature garden. Most Japanese towns, including Ishinomaki, were planned and built based on the idea of combating threats from nature with technology. In this case it was to establish a solid embankment that could withstand a tsunami, but at Ishinomaki the embankment was destroyed because the tsunami was much bigger than people using modern technology had predicted. What do we need to do now? Is a more fortified and higher embankment the solution? 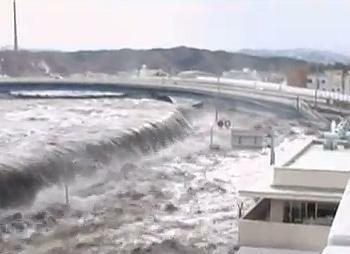 The city of Kamaishi in Iwate Prefecture was also badly damaged as the tsunami surged and overflowed its embankment. It had built a huge one after learning lessons from the earthquake and tsunami in Chile in 1960, but it was still useless. 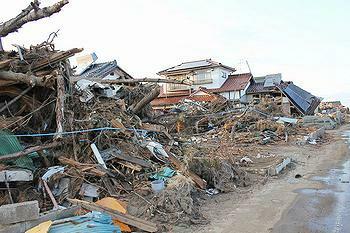 The city of Miyako in Iwate also suffered considerable damage from the tsunami, but in contrast the people from the city’s Aneyoshi region were all found safe. This region was once destroyed almost completely when it was hit by the Meiji Sanriku Tsunami in 1896 and the Showa Sanriku Tsunami in 1933. The number of survivors from these tsunamis was said to be two and four, respectively. 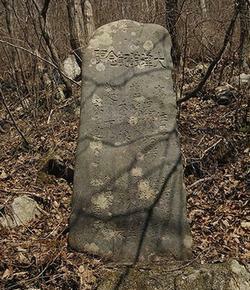 There is a stone tsunami marker erected on a mountain path about 500 meters away from the shore, on which warnings are inscribed to be passed on to descendants to remember the importance of having houses on a hill. People from the region have kept in their mind the warnings on the marker: “The tsunami reached here.” “Do not build houses below this point.” “Be cautious even after years have passed.” Every house in the region is built on sites above the marker, so no damage to people and houses was reported here. Open floodplains used to be found in many monsoon regions in Asia. Although heavy typhoon rains cause flooding and overflowing rivers, they also bring nutrients from upstream, which in turn help boost crop harvests. I learned that people in the old days didn’t try to stop flooding. They left spaces open for flooding on the floodplain in case of any overflow and avoided living there, adjusting their own activities to natural rhythms. As the population has continued to grow and people began to think that they could build houses anywhere they want as long as they pay for them, they began building houses on flood plains and ended up suffering from greater damage caused by typhoons and flooding. For people living by a river with a high risk of flooding, it is now normal to expect engineered high embankments to contain the enormous threats from nature. “All life, including human beings, is sacred and kept alive by everything in the universe.” This is an eastern idea. The concept means that we live in a web woven of all that exists, both animate and inanimate. The ancient Chinese philosophies of Laozi and Zhuangzi include the basic concepts of “naturalness” and “non-action,” suggesting that instead of trying to manipulate or resist nature, fitting ourselves into the natural world is the most appropriate attitude. 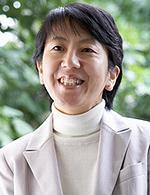 She reminded me of the concepts of non-action and naturalness. “Naturalness” here is a mode of being in accordance with the ways of nature. To gain such naturalness, Laozi and Zhuangzi preached that non-action is important. In their idea, the opposite of non-action is “artificiality,” attempts by people to put something natural under their control. Examples of artificiality here are trying to block tsunamis or flooding with engineered technologies. Should humanity regard nature as an object that needs to be suppressed and controlled, or just let it go and go along with its natural oscillations? The earthquake and tsunami disaster has given us an opportunity to reconsider the relationship between humanity and nature and how we should perceive it. People in the disaster areas, including those in Ishinomaki, have started discussing and working on reconstruction plans. Some towns might choose to build higher and stronger seawalls, while others might decide to pass on the tough lessons from the tsunami disaster this time to future generations by telling them that we should not live too close to the water’s edge because it is the realm of nature. There is no single and ultimately correct answer. Yet I strongly hope that future city planning is developed with longer time perspectives to enhance resilience, not just short-term efficiencies, and that planning and reconstruction in the affected areas are carried out using the hard lessons learned from this disaster.